Three years ago I first declared my love of a Laguna Beach cottage, owned by designer Randy Boyd. 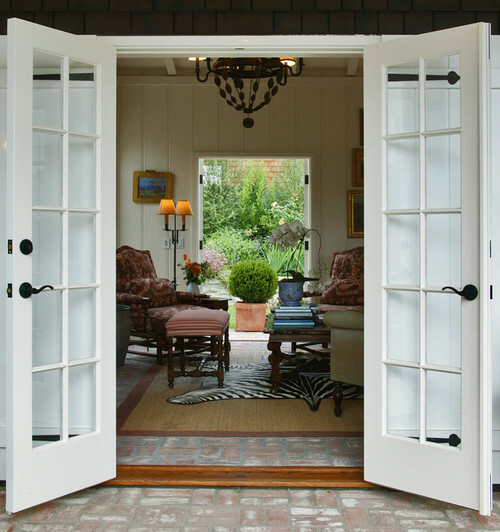 The home had appeared in an issue of Cottage Living Magazine and from the name of the cottage, “Ocean Peek”, to the details of the home, it was love at first sight. You can read my previous post HERE. 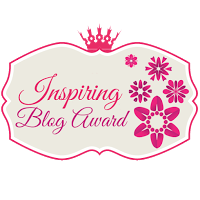 I had been blogging for about 18 months and this post made my year since Randy Boyd and his sister both commented on my post. Traditional Living Room by Laguna Beach Interior Designers & Decorators Thurston/Boyd Interior Design, Inc.
Randy Boyd’s dining room (below) is one of my favorite rooms of all time. The chandelier, oil painting and wall sconces are stunning. 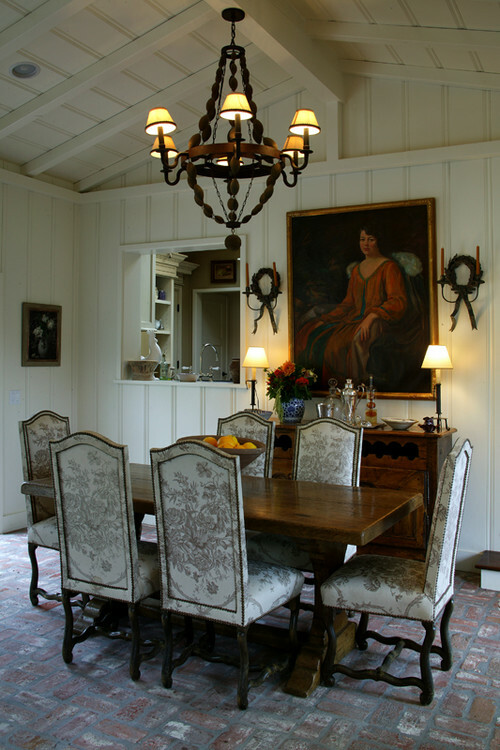 The wide bead board ceiling and walls provide such a warm and welcoming feeling to the room. Brown and white toile with nail heads seal the deal for me. I never grow tired of looking at images of this home. Traditional Dining Room by Laguna Beach Interior Designers & Decorators Thurston/Boyd Interior Design, Inc. 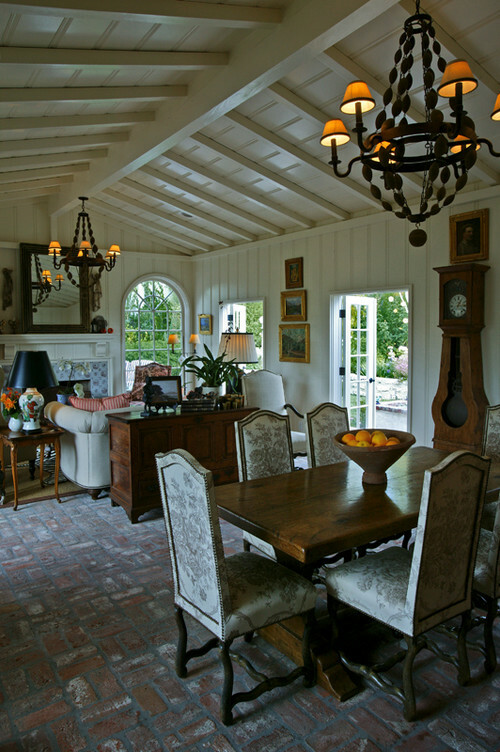 Traditional Hall by Laguna Beach Interior Designers & Decorators Thurston/Boyd Interior Design, Inc. 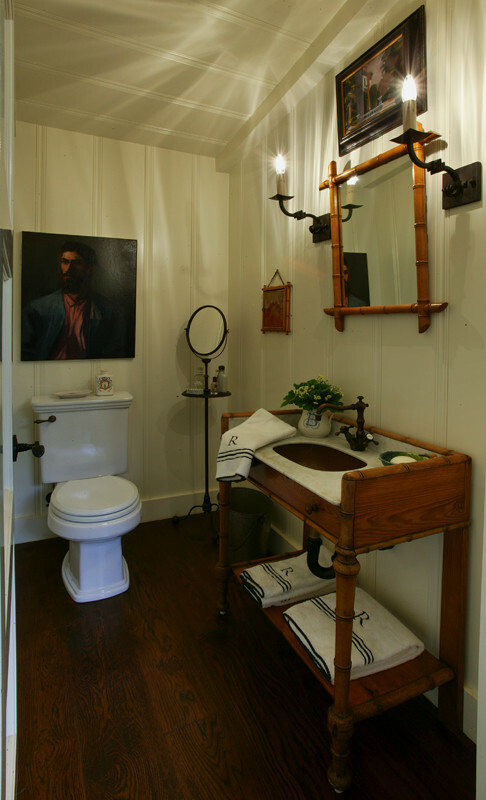 Traditional Powder Room by Laguna Beach Interior Designers & Decorators Thurston/Boyd Interior Design, Inc.
As it turns out it wasn’t just the home, it was Randy Boyd’s design work that I so admired. The images above provide a glimpse of his residence, but as you’ll see, Thurston / Boyd design work is noteworthy, no matter what the style or where the home may be located. In fact, Thurston / Boyd Interior Design, provides the services and expertise most of us would expect from a designer but its the focus on the individual clients’ “needs and lifestyles” that earn them the accolades and following that they enjoy. Happy Wednesday! Enjoy the rest of your week. Oh, Karen, what a wonderful way to wake up! His designs make every room dreamy. I love the lighting. Thanks! Thanks, and thank you for stopping by. I really would love to see Randy Boyd’s house in Laguna Beach. It’s one of my top five favorites. Thanks for sharing. I’m off to see your original post. 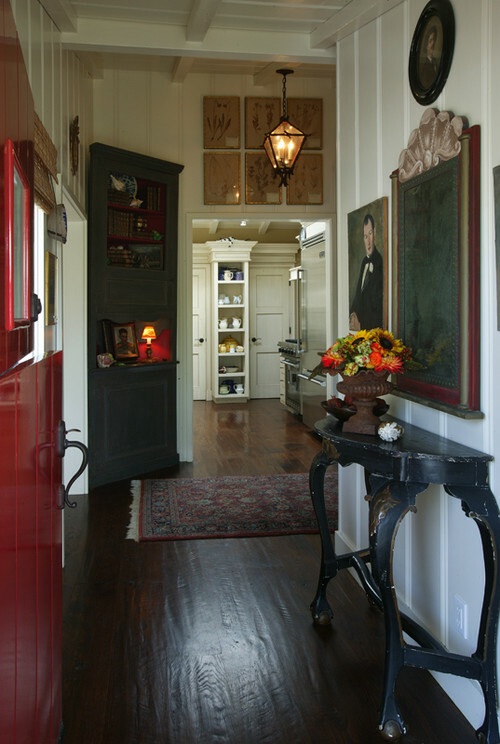 I love Randy Boyd’s style and the rooms he’s designed are so livable. I loved the brick floors and toile covered chairs in the dining room picture. What great ideas and inspiration. It makes me want to go home and start on a new decorating project! I am with you on the dining room, in fact all of his work is stunning and warm! I also love the doors. So beautiful. Thank you for sharing all of this gorgeousness. SOLD! now if only i could afford him and his team…….. I have printed that image as a reminder of my favorite style! You know how one can get sidetracked with style when viewing all of the fabulous rooms! I love them all, but my absolute favorite picture is the next to last. Wow. I love all of these. So classic, but still fresh… I particularly like a very dark floor like the foyer in the second picture. But, I am not picky. I would take any of those rooms. Karen, ever since you introduced me to his work I have been a huge fan. The rooms all have great architectural details and he seems to know how to choose and arrange the perfect pieces to enhance the room without overwhelming it. What a talent! Karen, I’m speechless and so very flattered. Thank you! I hope you read the comments to this post. Everyone feels like I do…you do magic to the rooms you design. The comments made my day! Thanks to everyone for the kind remarks. I agree. I first saw his home in a magazine a few years ago and I have never forgotten how inviting and comfortable it appears. The rooms I’ve featured are different in their respective styles, yet all extend an invitation to come in and relax for awhile. Hi, just found this post by doing a search for Randy Boyd. The Cottage Living cover was my all time favorite and I still have that issue! Actually, I could not bear to part with most of them. Today, while lounging around during my Christmas break I decided I’d see if I could find more of his designs. This makes me smile. I’m a huge fan of Randy Boyd! I saved the 2 magazines that featured his house and still look at them. His work makes me smile too! Thank for stopping by.